Will Howling Belles play blues-fuelled rock that's being variously compared to the likes of Mazzy Star, The Kills and The Duke Spirit at the ICA on the 27th July? You can bet your sweaty jeans on it. This one we rather recommend. Guns'n'Roses are back at Wembley Arena on July 30th, so interest can't have waned that much then. Will they play anything by Slash's Snakepit? Hmm, you never know. Although probably not. 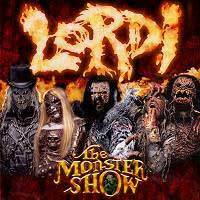 Disco conquering rock beasts Lordi play The Forum on 31st October. May be worth bringing some protective clothing. Will they play their Eurovision stomper or will it have become an albatross to be chewed upon stapled to their necks? Probably the former. Phil Oakey once had lots of hair. Now he seems to have none. Will The Human League play Together In Electric Dreams at Shepherd's Bush Empire on 1st December? To be honest we hope not. All excited about Madonna after that whole sparkly crucifix, in no way a shameless ploy to garner some additional publicity, stunt that hit the papers last week? Well lucky you, as the Lightning Seeds once sang. You can still just get tickets for her additional Wembley Arena show on the 16th August. But be really quick. Or you might just be too late... Will Madge play anything by The Lightning Seeds? Who cares.